Learn the secrets of getting the most from your boat – whether you sail an entry level dinghy, high performance skiff, sportsboat or catamaran. Tips, advice and some great shortcuts from expert sailors in a wide range of classes gives you the inside knowledge to get ahead of the fleet. 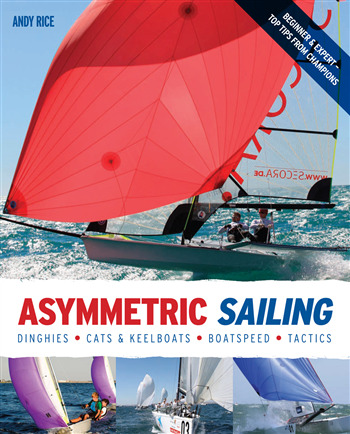 There’s step-by-step guidance, and every stage of asymmetric sailing is covered, including rigging and tuning, hoists, gybes and drops, tactics, survival sailing and advanced skills for solo and crewed boats.